So, I have teamed up with Claire Lee, who runs the SupplyEmporium, where she sells beads and all sorts of beady resources. 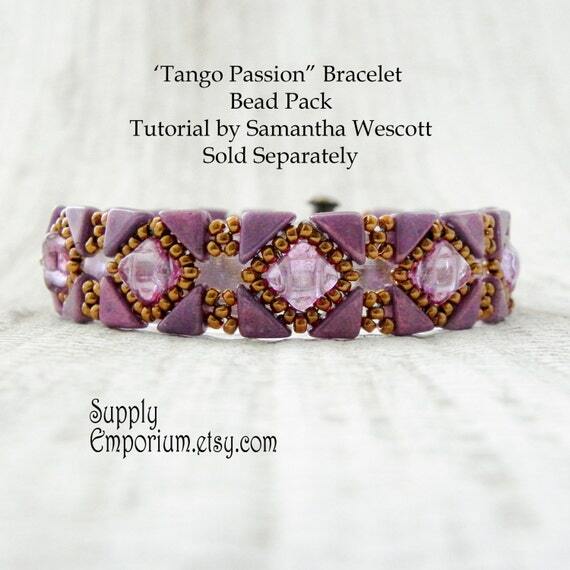 Most recently, she decided to offer a bead pack for my Backsplash Bracelet pattern. It’s not a kit, exactly, because Claire is not selling my pattern. All patterns still need to be purchased at my etsy shop. But! 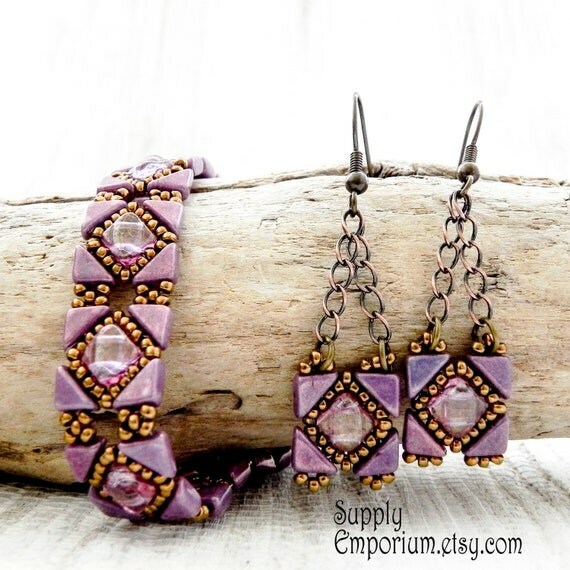 Claire has already arranged and package enough beads to make a 7 1/2 inch bracelet AND earrings in her lovely purple colorway. I think her colors are super cute and am looking forward to future collaborations and colorway adventures with Claire! This entry was posted in Bead and Product Chatter, Blog and Shop Announcements and tagged art, arts and crafts, bead kits, bead packs, bead patterns, bead stash, bead weaving, beading, beading patterns, beading tutorials, beads, beadweaving, beadwork, bracelets, crafting, crafts, diy, diy earrings, diy jewelry, earrings, jewellry, jewelry, jewelry design, patterns, wescott jewelry. Bookmark the permalink. Received my bead kit yesterday. Very pretty colors. Because we do not have a bead store close by and have to order everything by mail it was nice to have all the supplies in one bag. Love the bracelet.